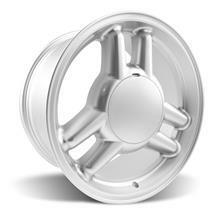 Late Model Restoration is your exclusive source for 1979-1993 Mustang 1993 Cobra R style Tri-Bar wheels! 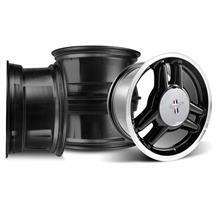 Modeled after the rare 1993 Cobra R, these wheels are sure to transform the look of your Fox! The 1993 Mustang Cobra R was an extremely rare car with just 107 units made. 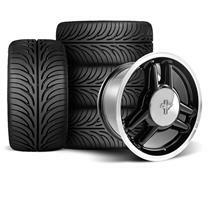 This car was built for the track and was the original Cobra R Mustang. 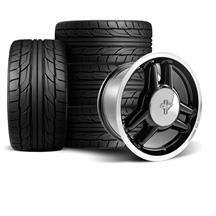 The R model had many functional features throughout the car and one of the most important was the Cobra R wheels. 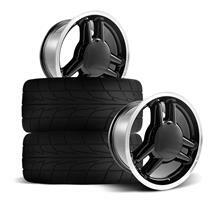 These wheels were designed to clear the 13" 5-lug Cobra brakes featured on the R model. 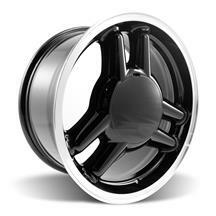 This wheel is now available in 4-lug to save you the hassle of converting to 5-lug to install this great looking wheel. 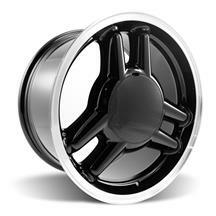 We have the factory style 5-lug version as well to fit Fox with 5-lug conversion. This wheel is available in black painted face with machined lip and cap area similar to the R. A black center cap is included to provide a great new look. 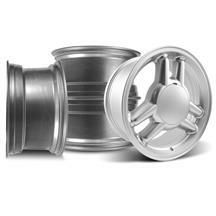 This wheel is also available in a silver painted finish just like the factory 1994/95 Mustang GT Tri-Bar wheels came in. Choose from a variety of size options that range in 17x8, 17x9 or stagger your sizes with one of our 17x8/9 wheel or wheel and tire kits! 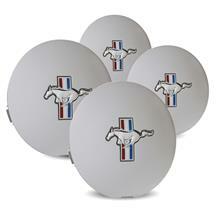 The wheel and tire kits come pre-mounted and balanced and ready to mount to your Mustang. 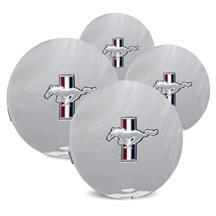 Shop our selection of 1979-1993 Mustang 93 Cobra R style Tri-Bar wheels below now!